le chaudron de vulcain – February 06 , 2019. EN. Indonesia : Karangetang , Colombia : Nevado del Huila , Hawaii : Kilauea , Chile : Villarica , United-States : Cascades Range . Home / blog georges Vitton / February 06 , 2019. EN. Indonesia : Karangetang , Colombia : Nevado del Huila , Hawaii : Kilauea , Chile : Villarica , United-States : Cascades Range . 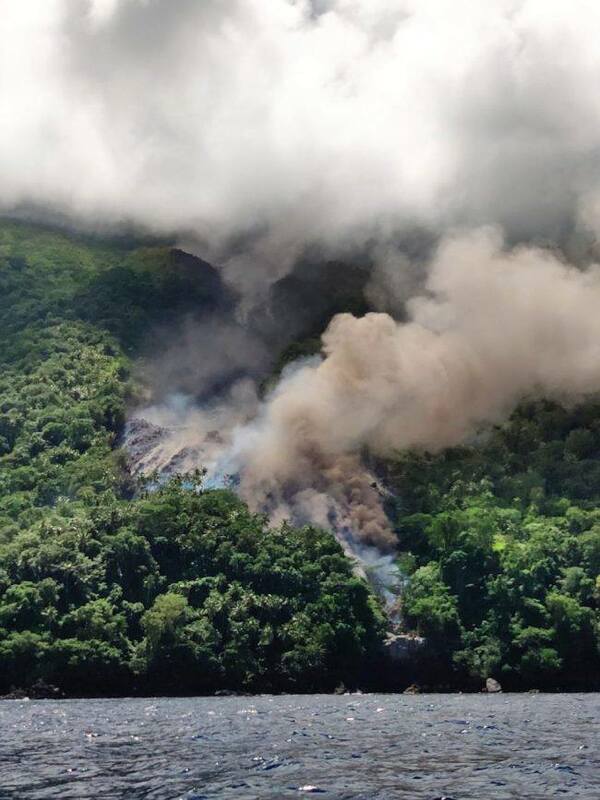 Siau Island Regent Tagulandang Biaro Sitaro Evangelian Sasingen said that since December 2018 the Karangetang Volcano had increased its activity status to level III (SIAGA) and that on Friday (02/02/2019) released incandescent lava through the Kali Marebuhe and Batuare rivers. « Until now, lava continues to come down, » Regent Eva told Sulutdaily. According to Regent Eva, « we evacuated a number of people at about that time to the village of Kawahang, and we urge the public to remain vigilant because the lava is getting closer to the village. » I urge people to remain vigilant and all relevant stakeholders remain alert, « he said. 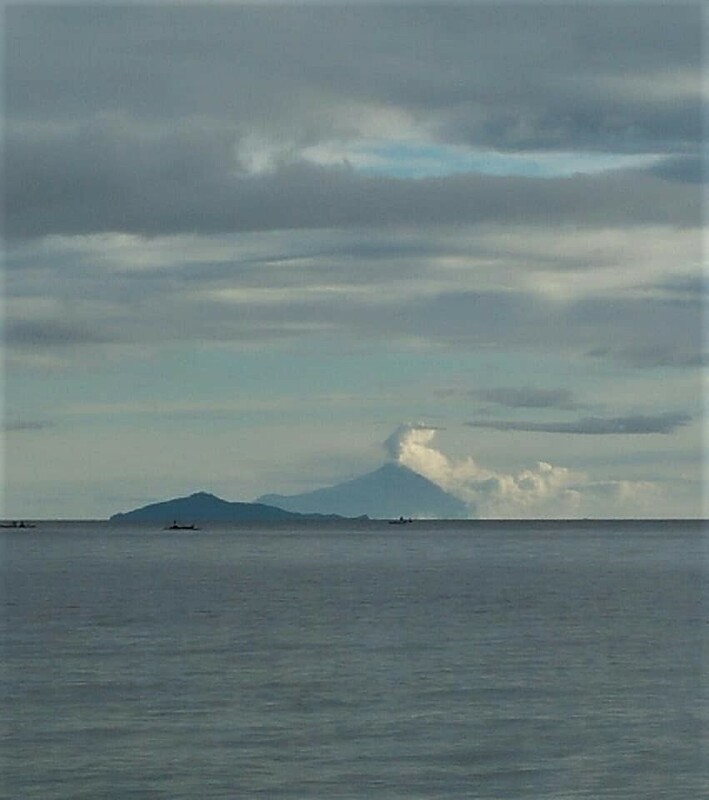 The PVMBG at the Karangetang Volcano Observation Post Aditya Gurasali reports that for the observation period on Tuesday (05/02/2019) at 06:00, Karangetang volcano (1784 m altitude): « Visually, the mountain is clearly visible. The smoke from the crater was observed to be white with a thick intensity and a height of 100 m above the summit of the crater. Occasional roars seem weak / medium, says Aditya. A continuous tremor (Microtremor) is recorded with an amplitude of 0.25 mm (dominant 0.25 mm). G. Karangetang has experienced a significant increase in its seismic activity with high frequency events (deep and shallow volcanic) rapidly since 22-23 November 2018. This increase in seismicity was followed by a drastic drop in high-frequency seismic activity on 24 November 2018. The sharp fall in high-frequency seismicity was followed by the recording of hot spots by the Modis satellites on 25 November 2018 at 13:10. It can therefore be concluded that a sharp decrease High frequency seismicity indicated that the magma had reached the surface of the crater. Since then, lava effusions accompanied by the growth of lava domes and hot cloud avalanches have continued. The seismicity of Mount Karangetang is dominated by low frequency earthquakes, related to magmatic fluid flow from surface depth. In the last two months, seismic swarms and avalanches continued to be recorded, with an average number of between 30 and 240 earthquakes per day. Seismic avalanches increased sharply on February 3, 2019. The increase in seismic swarms contributed to an increase in lava avalanches and hot cloud avalanches. Visual monitoring shows that Mount Karangetang’s activity is currently centered on the Kawah Dua (North Crater) and is dominated by effusive-like activities, particularly in the form of lava flows and lava avalanches to the Northwest. 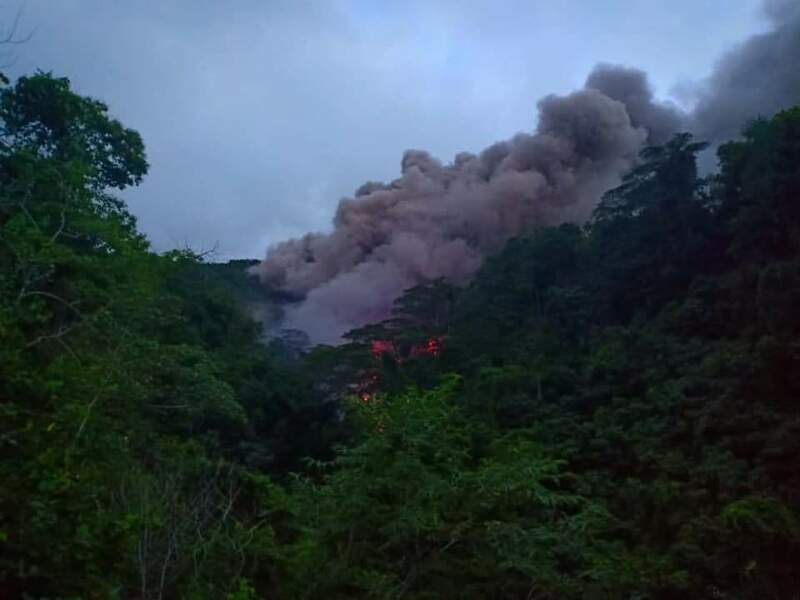 Currently, there is lava and hot clouds coming from the Dua crater towards the Sumpihi River (West) up to 1000 m, up to the Batuare (Northwest) rivers over a length of 1000 – 2000 m and Malebuhe (North-West) on 2500 – 2900 m.
Thermal satellite images regularly record heat anomalies in the crater zone and two on the North-North-West slope with a power range of 1 to 100 MW. Satellite images indicate that the current effusive eruption of Mount Karangetang is intense and shows no signs of decline. At present, the most dominant activity on Mount Karangetang is effusive (avalanches of lava and hot clouds) but may also be accompanied by small-scale explosive eruptions, such as Strombolian eruptions (eruptions with stones / incandescent lava with ashes). At present, no indication of large-scale explosive eruptions has been observed. 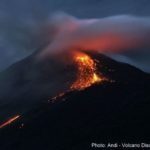 Monitoring data indicates that lava flows and hot cloud could develop to the sea, as the seismic data still indicate a continuous flow of lava from Crater Dua. Based on the analysis of the monitoring data and the assessment of potential hazards, G. Karangetang’s situation remains at Level III (SIAGA), but changes are made with the addition of the danger zone. Source : SULUTDAILY , PVMBG. Photos : Sulutdaily , Farny Saul Macpal. 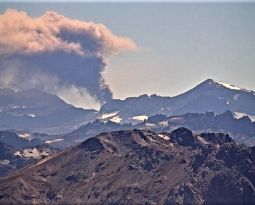 Weekly activity bulletin of the Nevado del Huila volcano, Popayán, February 5, 2019 at 16:30. The level of activity of the volcano continues at the level: activity level yellow or (III): changes in the behavior of volcanic activity. 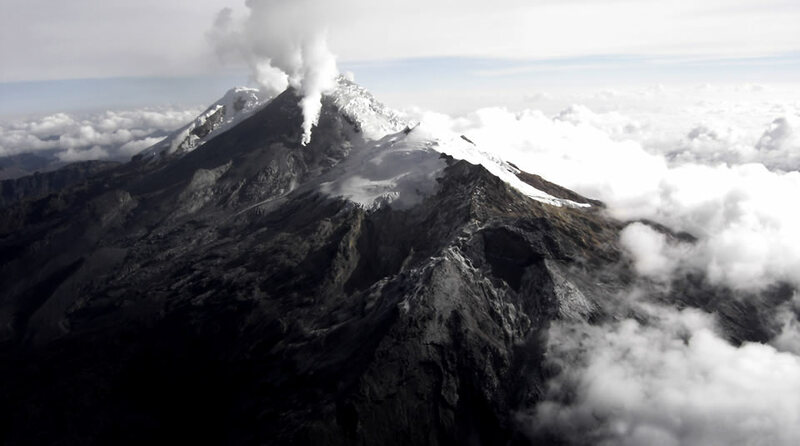 • Since the seismic event of 28 January 2019 at 16:07 local time, with a magnitude of M4.7, located 18 km northeast of the central peak of the volcano Nevado del Huila, 11 events with local magnitudes superior or equal to M3 were recorded, some of which were reported as felt in the volcano’s influence zone. • Since the magnitude M5.4 event of January 26th at the time of publication of this bulletin, about 14,153 earthquakes have been recorded, most of them of low magnitude, recorded only by instruments located in the D-zone. influence of the volcano. It should also be noted that the average occurrence of these events decreased daily during this period. 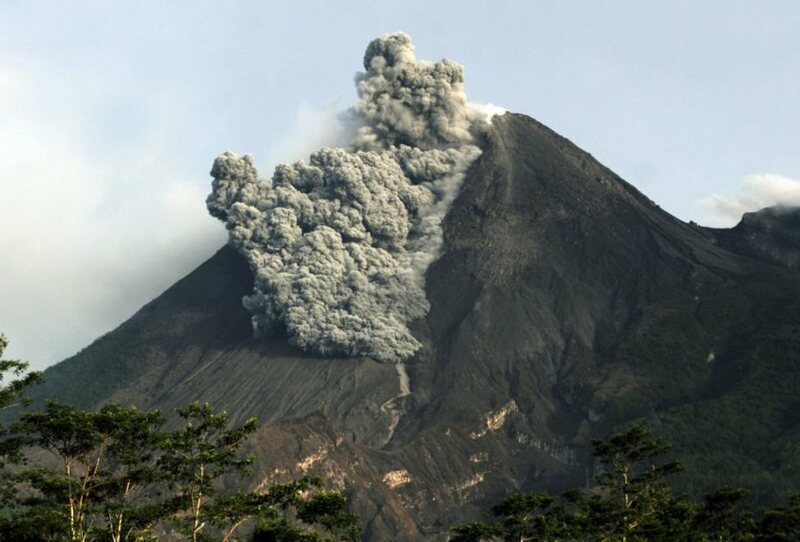 • The source of this seismicity is located northeast of the Nevado del Huila volcano, at distances between 10 and 20 kilometers and at depths between 5 and 15 kilometers, compared to the altitude of 4530 meters. It is recalled that although the earthquakes are located in the zone of influence of the volcano Nevado del Huila, which is a tectonically active zone, these events are not located under the volcanic building and have not affected other parameters of volcanic monitoring, which is why the level of activity of the volcano has not changed and remains at yellow level (III). Low rates of seismicity continue across the volcano, with earthquakes occurring primarily in the summit and south flank regions. GPS stations and tiltmeters continue to show motions consistent with refilling of the deep East Rift Zone. These rates have been steady over the past several weeks. At Kilauea’s summit, tiltmeters are showing deflationary tilt consistent with the beginning of a Deflation-Inflation event (D-I event); these types of events have been commonly observed at the summit for several years. Sulfur dioxide emission rates from the summit and Puʻu ʻŌʻō remain low. 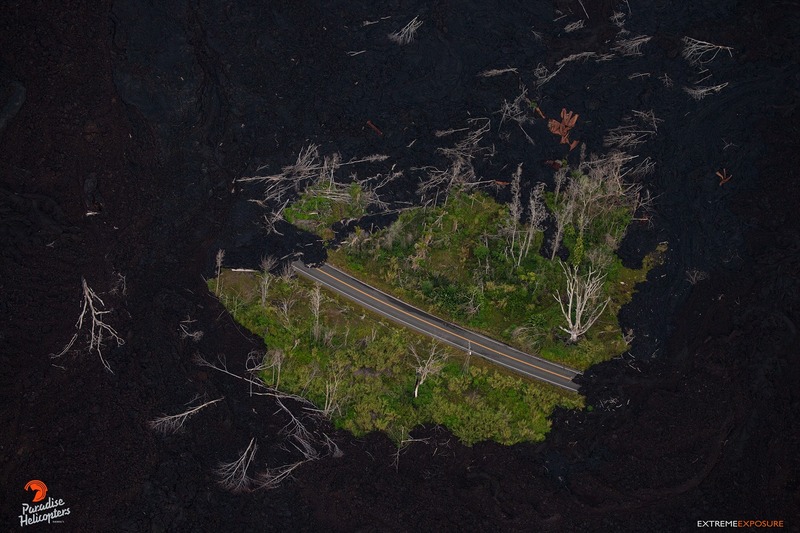 Hazards remain in the LERZ eruption area and at the Kīlauea summit. Residents and visitors near recently active fissures and lava flows should heed Hawaii County Civil Defense and National Park warnings and be prepared, if necessary, to self-evacuate in the unlikely event of renewed activity. Please note that Hawaii County maintains a closure of the entire lava flow field and vents and prohibits access unless authorized through Civil Defense. Through this publication, we explain the observable phenomena of the edge of the crater, which are normal for the level of activity of this volcano. The volcano Villarrica is an open-air volcano with a permanent lava lake in its crater. 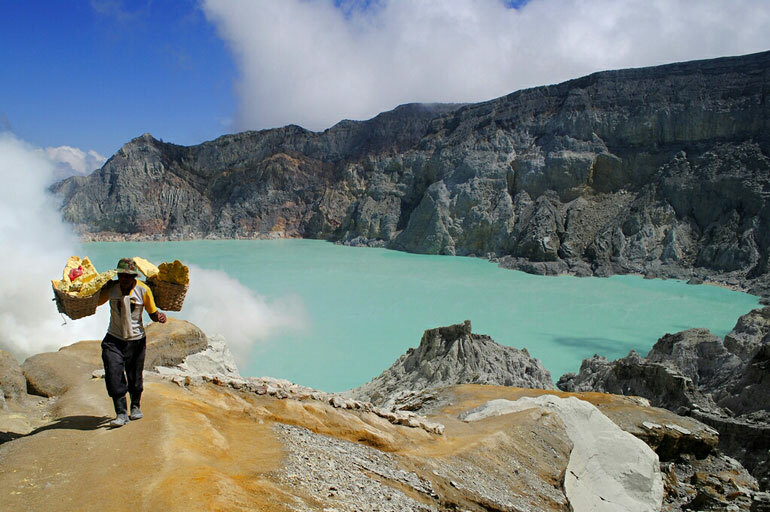 This feature is presented by only 5 volcanoes in the world, so its importance is global. In volcanoes with a permanent lava lake, constant explosions of gas bubbles coming out of the magma eject lava splashes that adhere to the walls of the crater and form crusts of pyroclastic material that develop by growth and agglutination. This crust, built on the lava lake, can eventually collapse and generate small columns of ash. In addition, this continuous activity favors the formation of small cones of slag (fragmented pyroclastic material), as observed in the images. On the other hand, the gases observable with the naked eye coming out of the crater of Villarrica are expelled by these constant explosions of bubbles on the surface which release mainly gases such as H2O, SO2 and CO2. 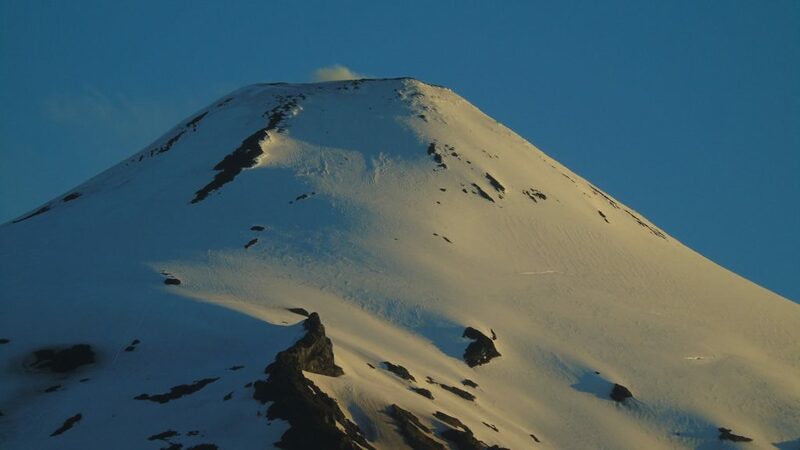 The images are part of the new projects that members of our team, in collaboration with the University of Concepción, began to develop on the Villarrica volcano, the most active volcano in South America. Source : Volcan Villarica . Photos : Nicolás Luengo , Franco Vera . All volcanoes in the Cascade Range of Oregon and Washington are at normal background levels of activity. These include Mount Baker, Glacier Peak, Mount Rainier, Mount St. Helens, and Mount Adams in Washington State; and Mount Hood, Mount Jefferson, Three Sisters, Newberry, and Crater Lake in Oregon. Cascade Range volcanoes remained at background activity levels throughout the week, including a few small earthquakes at Mount St. Helens, Mount Hood, and Newberry Volcano. Monitoring systems for seismicity, ground deformation, and volcanic gas emissions reported no unusual activity. 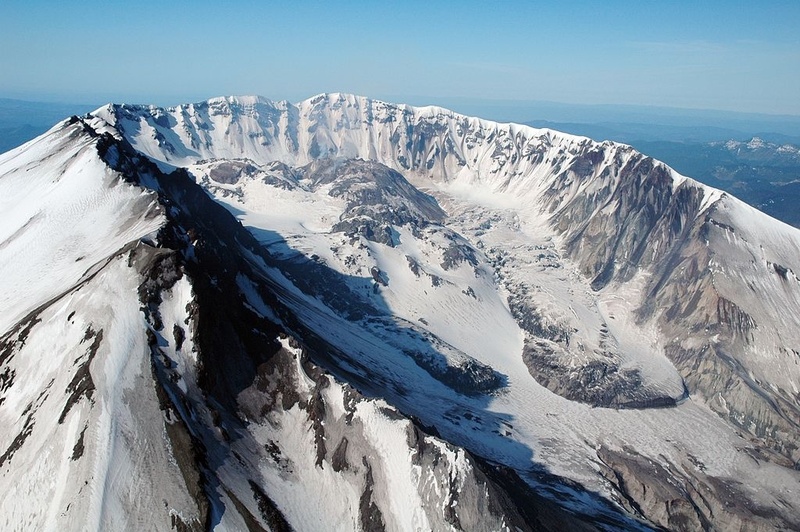 A team of three scientists based at the Cascades Volcano Observatory conducted the first-ever USGS-led Unmanned Aircraft Systems (« drone ») volcanic gas emissions survey at Mount St. Helens. The survey was conducted with the permission and coordination of the U.S. Forest Service Mount St. Helens National Volcanic Monument. The team used a multi-rotor UAS outfitted with a miniature USGS-developed MultiGAS sensor to measure quiescent gas emissions above the 2004-2008 lava dome within the crater of Mount St. Helens. These new technologies allowed the team to characterize degassing at Mount St. Helens in unprecedented detail. The UAS survey confirmed that carbon dioxide (CO2) emissions from the 2004-2008 lava dome are extremely low and that water vapor constitutes the vast majority (>99%) of present-day gas emissions. 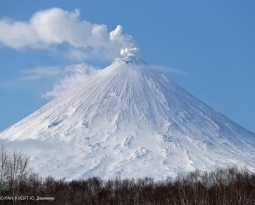 Much of this water vapor is not derived from magma, but instead is produced when shallow meteoric and surface waters, like snow melt, comes into contact with hot dome rocks, generating steam. 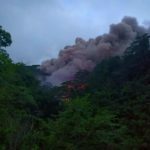 Étiquettes : Blog Georges Vitton, Chaine des Cascades, chili, colombie, etats-unis, hawai, Indonesie, Karangetang, Kilauea, Le chaudron de vulcain, Nevado Del Huila, Villarrica .